Facing east on the siding in Rockwood and shut down for the day. When railfanning the Sand Patch Grade, Rockwood is always worth a stop to see what sort of EMD power is sitting around. Former C&O 8638 built in 1985. 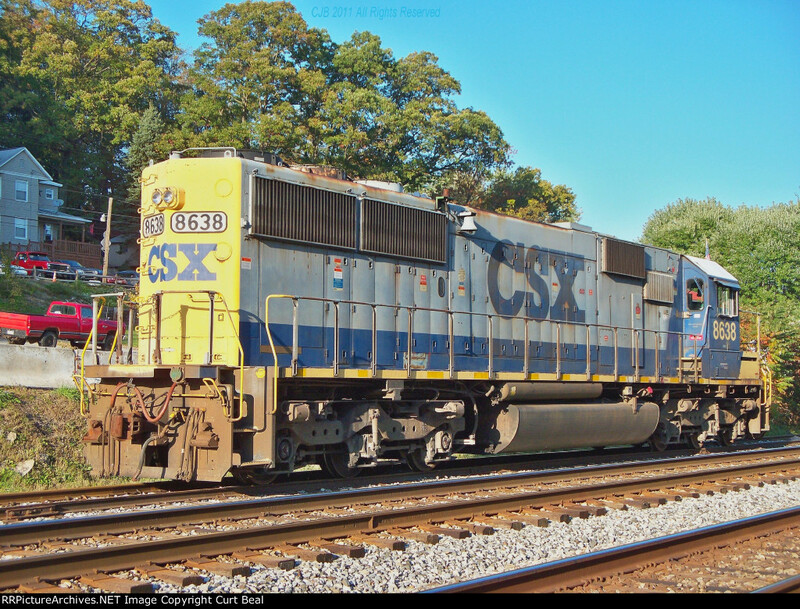 CSX 8638 has now been repainted into the standard YN3/Dark Future paint scheme in 2012.